We are super lucky here in the North East to have not one but two forests that are 'Dark Sky Discovery rated with Milky Way Status' (Kielder Forest in Northumberland and Hamsterley Forest in County Durham). This means that you can actually see the Milky Way in these locations with the naked eye. Amazing! 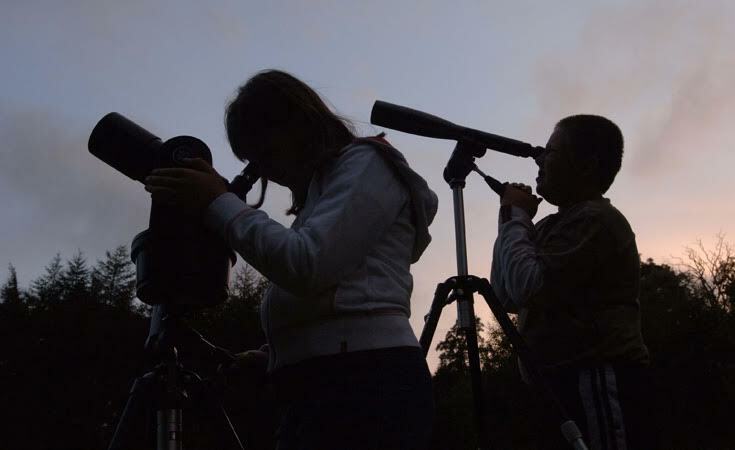 Stars are magical, inspiring and awesome - even more so to children and encouraging your children to look up at the stars at night is a fantastic and easy way to get them interested in anstronomy, science and the world around them from a young age. Sometimes it's too late/cold/scary for little ones and children to be out in the forest late at night and I love the idea of the 'Why stars matter' trails (available at both Kielder and Hamsterley). These daytime trails are self-led and FREE. You'll take a short walk around the forest and learn how stars affect people and the forest. Find out more about the trail here. Starting at 4pm, these events begin with a Q&A session with Kielder's resident astronomer followed by the chance to touch real space rocks and meteorites from Mars. Next up it's a guided tour of the observatory with a chance to use the giant telescopes as it gets dark before finishing up with rocket making! Tickets are £55 for a family of 4 and available here. Running on most Saturday evenings from 1st April (beginning at 5pm), this is your chance to join Kielder Observatory for an interactive talk as they whizz you around the universe. This is followed by an observatory tour and a quick lesson on how to use the powerful telescopes. Family Astronomy is aimed at children aged 4+ and their families. A hot drink is included in the price too! Tickets cost from £55 for a family of 4 and are available here. You can request your FREE download here. When better to put your stargazing skills to the test than during Earth Hour? WWF are encouraging the whole planet to come together and demonstrate their support for action on climate change by switching their lights off for one hour as a symbolic gesture. Sadly, nearly 1 in 6 species are at risk of becoming extinct due to climate change. Earth Hour takes place on 25 March at 8:30pm. Put the date in your diary now! You can find out more about Earth Hour here. We recommend checking out Muddy Puddles for children's waterproofs and warm clothing. Let me know if you're planning on taking your children stargazing this year. These are fab! I always say that we are so lucky in the NE to have all this on our doorstep. I can't wait to take my 2 to stuff like this. 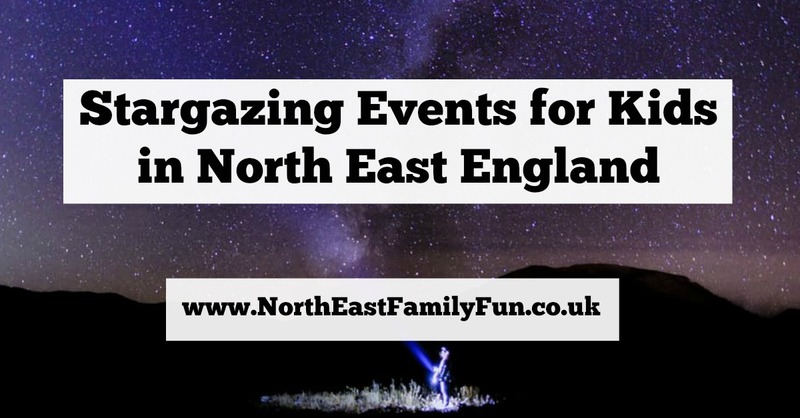 We are so lucky to live in the NE and have access to some of the darkest skies and stargazing opportunities in the world! This looks like a great event! Our friends are off to Kielder observatory! I'm trying to convince them to do a guest post for us! The stargazing looks amazing and i think even adults would love it (like me!). I'm forever looking at the night sky and wishing I knew more than just the prions belt!